The Future Impact Conference – a very germane part of the Reflector vision – is a platform of connection between the experiences of the older generation and the expectation of the younger generation. As the name implies, it’s aimed at bridging the gap between historical trends and futuristic tendencies, hence, giving the youth intellectual ingredients needed to build and secure a desired future. The maiden edition of The Reflector’s Future Impact Conference was launched on the 25th of October, 2014. The event hosted great guests like PROF. REMI RAJI (President, Association of Nigerian Authors), ENGR. ABIODUN FIJABI (President, Life Africa Foundation), PROF. GBEMISOLA ADEOTI (Pan-African Writer and author, “Naked Soles”) and BARR. SOLA ADEGBITE. Hundreds of students (including delegates from four secondary schools) converged in Obafemi Awolowo University to engage the topic: “AWAKENING THE FUTURE: A Focus on Media, Education and Youth Development”. The theme for this year’s edition of the FUTURE IMPACT CONFERENCE slated for 5th of September, 2015 is: “RESHAPING NIGERIA: What Can We The Youths Do?“. We hope to have you join several other young thought-leaders at Obafemi Awolowo University’s prestigious Awovarsity Hall. The event will also feature the Prize-giving ceremony of the 1ST PROFESSOR REMI RAJI WRITING CONTEST and WORD WAR II. Gbenga Sesan is the Executive Director of Paradigm Initiative Nigeria (PIN), a social enterprise that connects underserved people-groups with ICT-enabled opportunities. Gbenga Sesan was appointed Nigeria’s first Information Technology Youth Ambassador in October 2001. His interest and work is built around the use of ICTs in socio-economic transformation. Gbenga is a graduate of Electronic & Electrical Engineering of Obafemi Awolowo University and completed Executive Education programs at Lagos Business School, New York Group for Technology Transfer, Oxford, Harvard, Stanford and Santa Clara Universities. Prof. Remi Sonaiya was KOWA party’s candidate for the 2015 presidential election. She is very interested in public affairs and is passionate about issues of justice, equity, and African development. She has a soft spot for young people of Nigeria and concerned that they have to bear the brunt of the prevailing culture of corruption. She obtained a Bachelor of Arts in French from the University of Ife (now Obafemi Awolowo University), a Masters in French Literature from Cornell University, USA, another Masters in Linguistics, and a PhD in Linguistics from Cornell University. Tunde Kelani is a Nigerian Filmmaker, Storyteller, Director, Photographer, Cinematographer and producer. In a career spanning more than four decades, he specializes in producing movies that promote Nigeria’s cultural heritage and have a root in documentation, Archiving, Education, Entertainment and promotion of moral values. Some of the great works of mainframe Film and Television Productions founder include: Saworoide, Thunderbolt, The Narrow Path, Maami, Dazzling Mirage etc. Isime Esene is the Managing Editor of of the Y! Media franchise, where he oversees a bouquet of public facing brands across print, online, television, radio and events, all focused on the news and pop culture needs of a buzzing community. Over the past three years with RED, Isime has built and grown relationships with global brands including Microsoft, Google, Nigerian Breweries, Guinness, Etisalat, Airtel, Samsung, Uber and BlackBerry. He was in 2013 appointed a member of the high profile brain trust of The Future Awards Africa, which has been called Africa’s biggest youth event. He was later appointed a member of the expanded Advisory Council of the project. Isime is also a mentor on the Microsoft jobs platform, Aiki.ng. 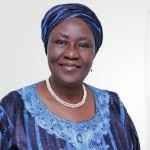 She is the group CEO for “The 555 Group” owners of 555 Consulting Limited, 555 Foods, 555 Impact Centre, 555 Foundation. She has years of experience in HR consulting field, and possesses a certificate in Entrepreneurial Management, and Social Sector Management from the Pan African University in Nigeria. Bukky as an unwavering determination towards the “Bring Back Our Girls” movement, which began in an effort to find the missing Chibok girls. Note that the event begins by 10:00am but Registration starts by 8:00am. Here’s a life-changing experience you can’t afford to miss!